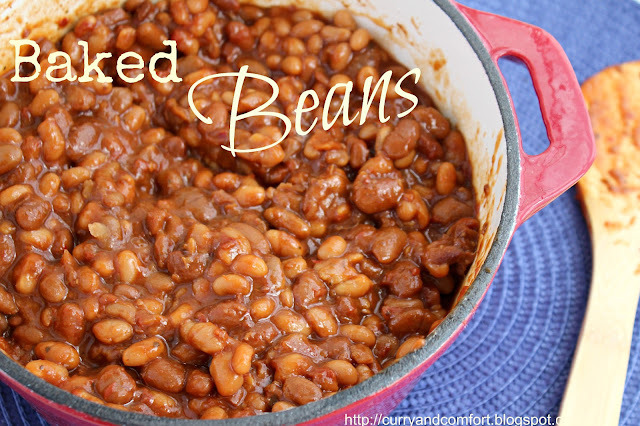 I usually keep a few cans of baked beans in my pantry for a quick side dish or to add into a chili. I decided to make my own baked beans from scratch and was so happy that I did. Not only is so much more economical to make your own beans, you can also play around with the flavors. The slow cooker is a great way to cook these beans so you don't even have to keep an eye on them. They simply do their thing in the cooker and you get to enjoy a lovely healthy dish with minimal effort. Soak beans overnight and drain the next day. Place soaked beans with all the other ingredients in slow cooker on high for 6-7 hour (or until your desired bean texture). Enjoy. I really need to try out using dried beans. I always use canned. These look great and I love that they are meat free. I don't use dry beans as much as I would like to. Love slow cooker beans! Pinning this one! Three cheers for the slow cooker and for your creative genius! We love beans in this house too. I adore baked beans! Reminds me of being back in Kansas City! Mmmmmm...I need the whole pan...I mean a big bowl! My hubby would love coming home to a pot of these!!! Perfectly done! I love letting my slow-cooker "do its thing" and provide me with delicious eats without any effort! :D Going to save this one for a BBQ for sure - I could have them start in the day before and they'll be ready by grilling time! Awesome Idea Ramona! 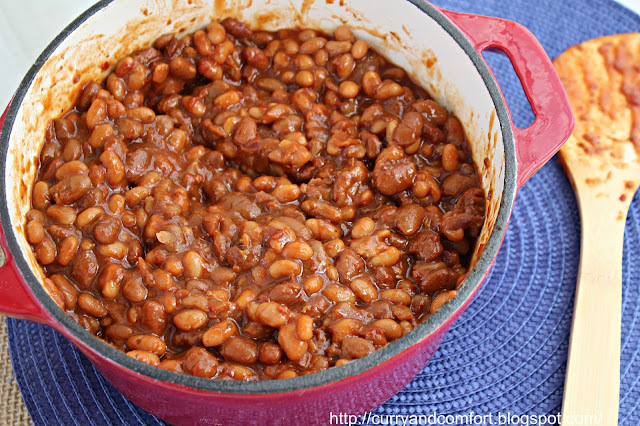 What a great looking pot of baked beans! I love baked beans but Bobby always think they are too sweet. Your recipe doesn't look sweet at all. Your recipe looks like the perfect compromise. Thanks and have a wonderful weekend. Hi - where's the Print button?